At Seascale, two reactors for the production of plutonium had been hurriedly built in the late 1940s/early 1950s: Windscale Piles 1 and 2. Both reactors were essentially blocks of graphite with aluminum-clad rods of uranium, other elements and/or isotopes running through the otherwise solid graphite. Air was blown from one side over the graphite and the rods to cool them, while hot air was pulled out of the other end and vented through large discharge stacks. Filters, hastily added at the last minute at the urging of one prescient soul, were placed at the top of each stack. Nuclear fission occurred in the core when neutrons collided with the uranium. Extra neutrons were produced in this process, and they also banged into, and changed, the graphite. This interaction transformed the graphite’s crystalline structure causing it to build up energy until such a time (usually not a convenient one) when it could suddenly, and dangerously, release it as heat. Known as a Winger energy release, it happened at Windscale Pile 2, at some time before the fire. Rather than taking the time to redesign the reactor so all of its systems were capable of safely managing this problem, the workers were ordered to cobble together a solution (explained below). Why? Politics… naturally. In the years following World War II, Britain was desperate to get the H-bomb in order to be on an equal footing with the newly powerful Americans. After years of negotiations for the magic recipe, Britain’s Harold Macmillan had finally succeeded; at the end of October 1957, he was to sign the Declaration of Common Purpose by the President and the Prime Minister of the United Kingdom, by which the U.S. would share with Britain the secrets of atomic weaponry. 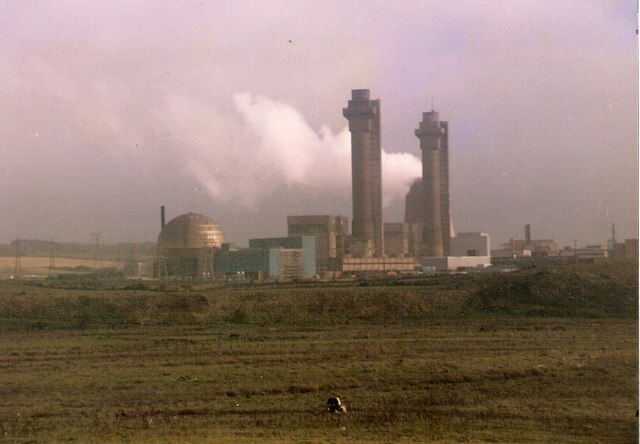 Leading up to the disclosure, British officials were loath to show the Americans that there were any flaws, problems or shortcomings with their reactors. So, rather than re-tool or redesign to ensure proper and safe operation, they frequently pushed the existing materials to limits and in ways in which they were never designed to be used. For example, with the Winger energy problem, they took advantage of carbon’s ability to slip back into its proper place as graphite at really high temperatures. This method, known as annealing, involved a one or two-day cycle of temporarily heating the core far higher than any of the equipment, including the cooling system, had been designed to manage (to 485F); after, the reactor would undergo a period of cooling until it was safe for fission. The temperature in the reactor was monitored with thermocouples that were well suited to handle normal operations, but could not properly measure variations in temperature caused by the annealing process. To make matters worse, over time, more heat and more cycles were required to release the extra energy, but even then (unknown until after the accident), pockets of Wigner energy remained in the core. In addition, when the U.S. changed from arming its bombs with plutonium to tritium, British officials ordered the Windscale plants to do the same – even though they weren’t designed for it. Following orders, the nuclear workers modified the reactors, and in particular, one component involved in cooling the fuel. Not without consequences, superheated areas began forming in the core, but because the thermocouples were not designed to monitor these events, the heat readings in the reactor remained in the safe zone – until way too late. The reactor was superheated as part of an annealing cycle on October 8, 1957; after workers concluded that the annealing had been successful, as was typical, cooling rods were inserted to end the cycle. Partway through, workers realized the desired Wigner energy release had not fully happened, so they ramped up the heat again. Many experts believe that even prior to this second heating, portions of the core were far hotter than others, but the workers had no way of knowing this because the thermocouples did not, and could not, measure it. In any event, the consensus is that the hot spots combined with the second heating ruptured a cartridge, thereby causing the fire. Even after this, the thermocouples did not record an increase in temperature. By October 10, 1957, workers had gotten nervous. The typical drop in core temperature that should have followed the Wigner release did not happen; rather, at least one thermocouple was registering a steady rise in temperature. Without realizing that the core was on fire, the workers increased the airflow; adding oxygen to the blaze; ionizing radioactive elements were pushed up the chimney and picked up by monitors. At this time, the workers realized that something was gravely wrong. It is important to remember that the nuclear workers in this story were heroes. Although maybe they should have thought twice before double-heating the core on the 8th, or increasing the airflow on the 10th, the factors that really caused the Windscale fire were those of policy, made at a pay grade far above their heads by people who didn’t really typically have the engineers’ expertise on the subject. In any event, later on the 10th, workers donned protective gear to examine the fuel; only then did they realize it had been burning for nearly two days. The plant manager scaled the reactor building and observed that the raging inferno was coming into contact with the containing concrete; horrified, he knew that the protective concrete had not been designed to withstand that type of conflagration. They had no good options. By October 11, 1957, the temperature in the reactor was over 2300F (lava expelled during an eruption is typically cooler than this); in fact, after they inserted a metal pole as part of a failed attempt to extinguish the fire, when it was pulled out, the end was dripping. At this temperature, when water (H2O) hits molten metal (like that inside the reactor), it oxidizes, and the hydrogen separates from the oxygen; the workers feared that the hydrogen might mix with the incoming air and explode, ripping open the containment area, exposing the populace to dangerous radiation and killing the workers. Don’t forget that, because of the dodgy design of the reactors, ionizing radiation at dangerous levels had been leaking for days. If the workers chose to simply let the fire burn itself out, even if the containment didn’t fail (it would almost certainly have failed), radiation would have continued to contaminate the countryside. So, they tried their only other option: starve the fire with liquid carbon dioxide; unfortunately, they were unable to apply very much. In the end, the fire got the last laugh because it even consumed the oxygen in the CO2. Left with no other choice, they turned on the hoses, although they were still afraid to turn off the cooling and ventilation systems. The water did not cause an explosion but it did little to quell the flames. In a last ditch effort, the reactor was cleared of everyone except the plant manager and the fire chief, and the air was shut off. The manager again climbed on the reactor and discovered that the starving fire was creating powerful suction in a failed attempt to maintain itself. Unsuccessful, the flames slowly died away, then the glow receded. Water continued to be poured onto the core for another 24 hours, until it was completely cool. Still keen on getting their hands on the nuclear weapons designs, British leaders covered up the real cause of the accident and blamed it on Windscale’s heroic workers. The deceit was successful, and the U.S. shared its nuclear secrets with the British. Subsequent inquiries, by the BBC and others, have revealed that it was the government’s relaxed safety policies that were ultimately to blame. Health wise, it was also a disaster. Although not on the scale with Chernobyl, the Windscale release of iodine-131, caesium-137 and xenon-133 are thought to have caused at least 200 cancer cases; it is believed that the numbers would be far higher were it not for the last-minute addition of the filters. Thankfully, however, the brave workers who faced the fire had no increased rates of cancer or mortality; in fact, the reactor manager who scaled the reactor multiple times died in 2008 at the age of 90. After the fire cooled, 15 tons of uranium fuel was sealed in the reactor tank at the site, and it is not scheduled to be decommissioned until 2037. Good journalism. TWOMEY was the unsung water hero. And… WIGNER is the correct spelling of the scientist not WINGER.